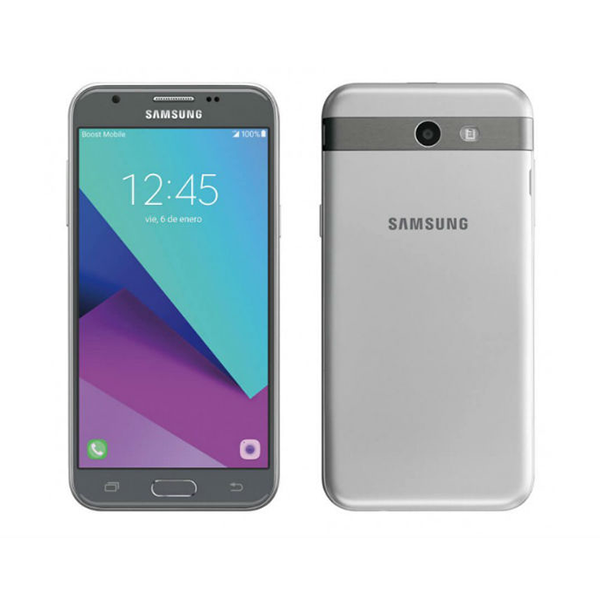 Samsung Galaxy J5 Prime 2017, another phone from the Samsung’s mid-range series, has been leaked and it shows promising specifications. Samsung targets all market segments from high end to low end and the phone under discussion belongs to a low to mid-range series. 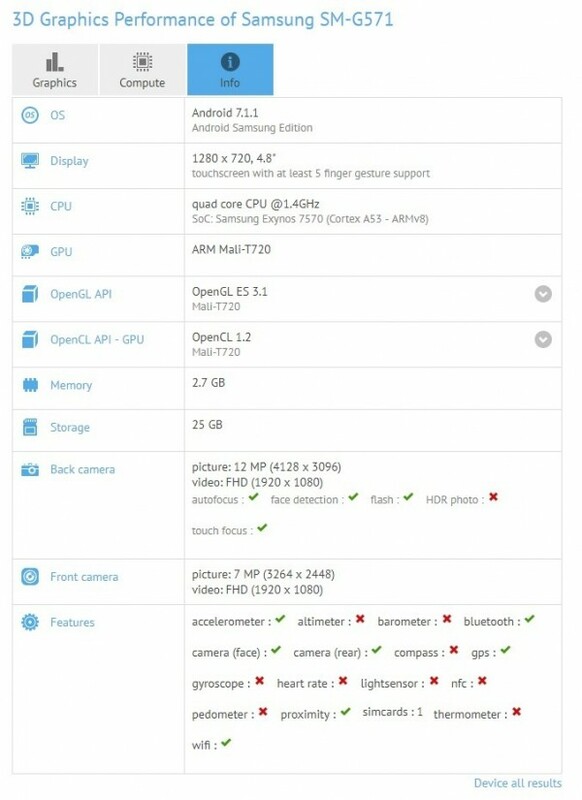 The Galaxy J5 Prime 2017 is expected to come with a 4.8-inch display with a resolution of 1280 x 720. The panel is expected to be a Super AMOLED one as Samsung itself makes that panel and it does not need to get it from other manufacturers as some companies do. The chipset is expected to be Samsung’s own Exynos 7570 which comes with 4 Cortex-A53 cores clocked at 1.4 GHz. The chipset is built on 14nm technology which ensures efficient performance with a longer battery life. The chipset comes with Mali-T720 MP1 chipset. The J5 Prime 2017 is expected to come with a 12 MP main camera and an 8MP front camera. The aperture is not yet known. Both cameras are capable of recording 1080p videos. The RAM in the upcoming smartphone is expected to be 3 GB and internal storage will be 32 GB which will be expandable by a Micro SD card. Here’s the leaked benchmark image. The phone will come with Android 7.1.1 out of the box and it will soon get upgraded to Android 8.0 Oreo. Samsung will begin to upgrade its devices to Android Oreo from January and it will start from Galaxy S8 and Note 8. 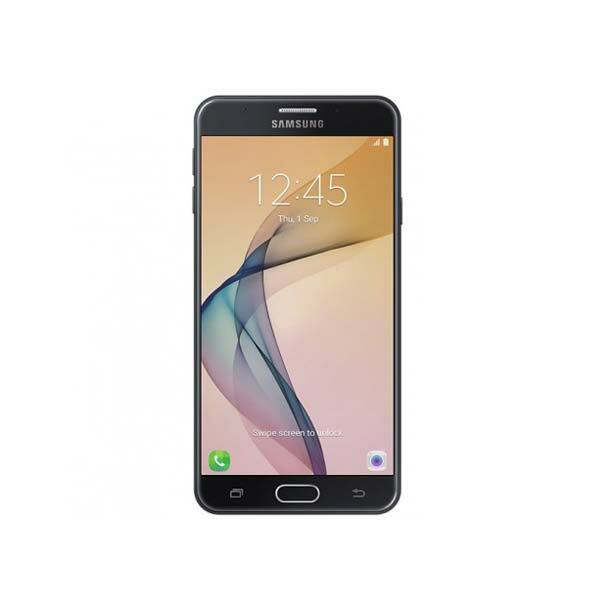 The Galaxy J series, especially the Galaxy J3 and J5 are very popular among Pakistani users. The phones in this series offer great specifications in affordable price tags. 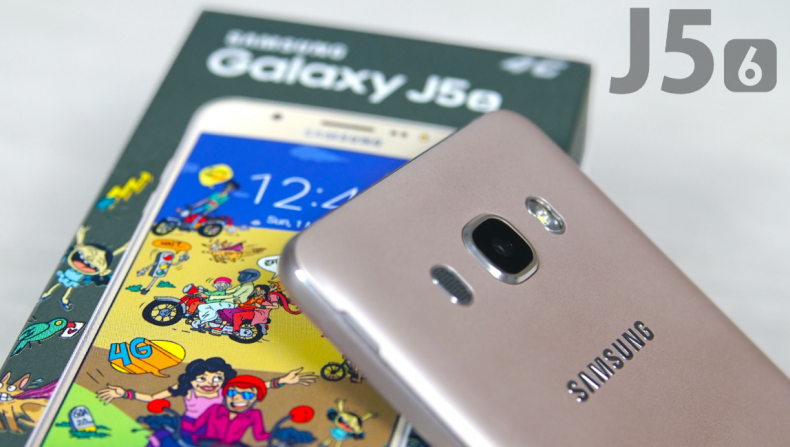 J5 Prime is a phone for those people who want a Samsung phone without spending a lot of money. The phone is expected to cost around 22,000 to 25,000 rupees in Pakistan.